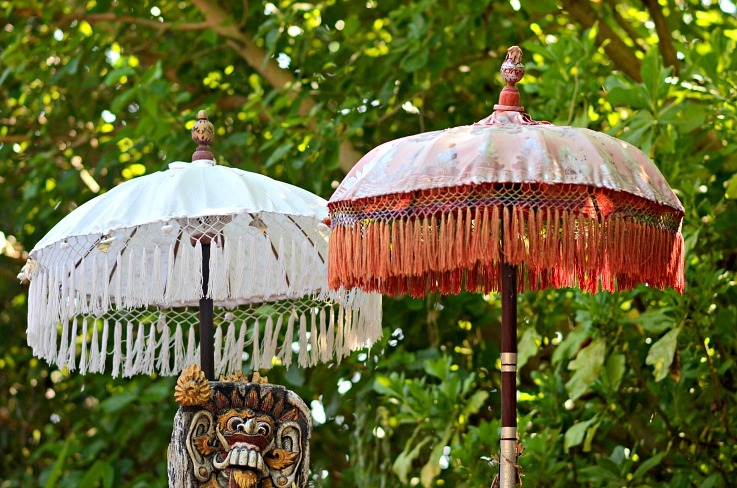 Yup yup, we are back in Bali and loving it! After a four week stay on the Maluku Islands, three planes and an eight hour delay in Makassar, we are back to one of my favorite places in the world. In the meantime I am choking it up wearing the cutest sea shell choker I scored at my favorite store here in Bali called: Lost in Paradise. They have a few of stores here. 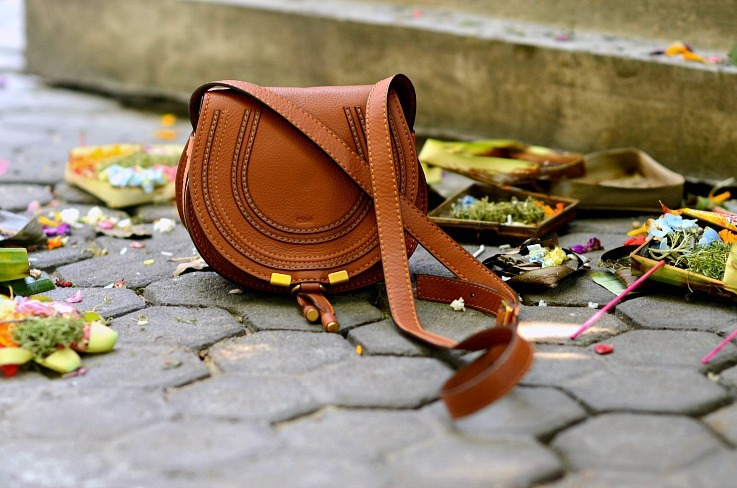 One located in Legian, also in Seminyak and one in Ubud. The fabulous lace up dress I am wearing is also a piece by them. I am not being sponsored by this brand, but I just had to share that I am seriously loving every single piece they sell in their store. It is a bohemian paradise, ranging from the cutest ripped denim shorts, easy breezy dresses in lace and crochet, crop tops in seriously every style available, gypsy style jewellery, lace up sandals, colorful hats, you name it. They also sell men’s clothing, so my boy Emiel scored some fabulous shirts for himself. Do check this place out when you are heading to Bali island my friends and I promise you. your man won’t be bored either. I am not too fond of their online shop, but walking into their store on the island is definitely worth the trip. Keep reading to find out the pretty sandals I wore with this look I grabbed at Bata in Ambon city. Bata? Yes, you heard it right Bata! Heck, I didn’t even know this shoe store still existed. 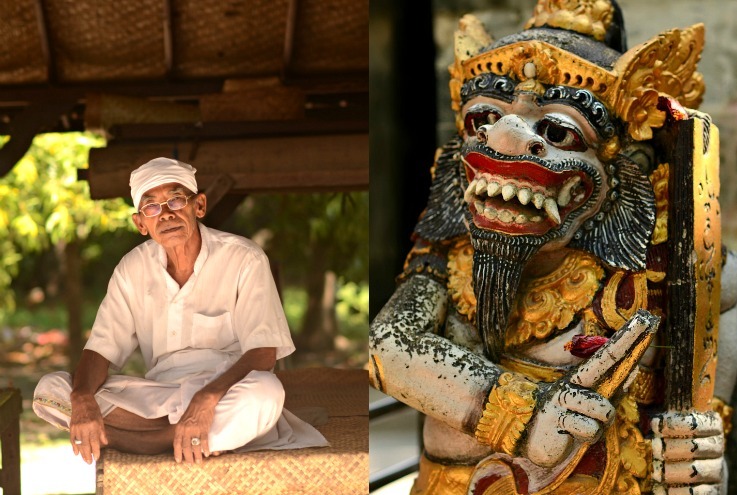 What I love about Bali is their rich culrure and Hindu believes. 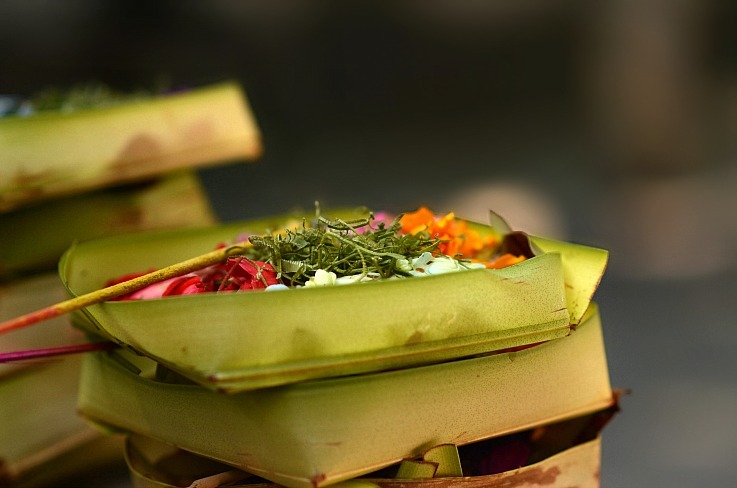 Hindu offerings are sprawled out on the street everywhere, so you have to be careful not to step on them. They are in front of every store house, or business. 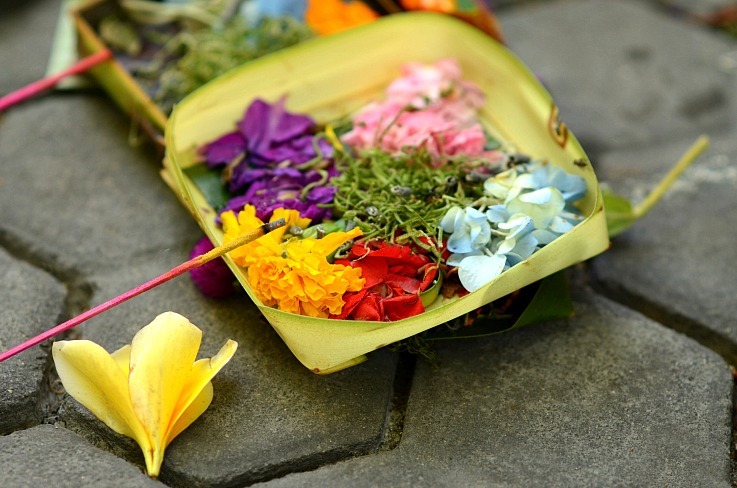 The balinese offer cookies, coins, flowers and fruits in handmade palmleaf baskets to appease and please the gods and demons. 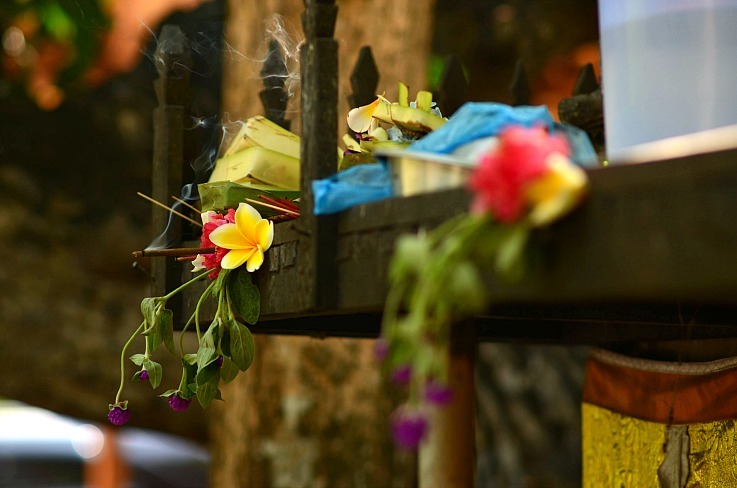 The beautiful smell of incense is all over the island, making it feel so peaceful and welcoming. What I love about this choker is that it’s made out of tiny little seashells. It’s so different right?